Enquire today to witness Tottenham Hotspur v West Ham at Tottenham Hotspur Stadium with VIP hospitality. Can Spurs secure a home victory when they come up against West Ham. 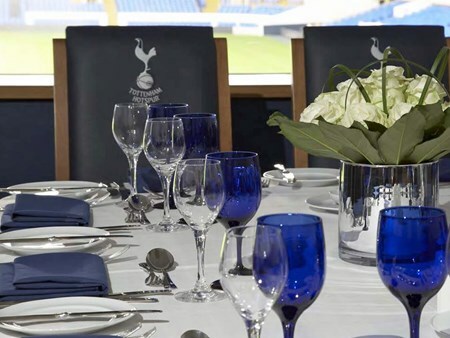 Hospitality Finder are proud to provide official hospitality packages at Tottenham Hotspur Stadium where you and your guests can enjoy superb corporate entertainment at all the top flight matches throughout the season. After spending a temporary season at Wembley, Tottenham are moving back home to Tottenham Hotspur Stadium in their newly built state of the art venue holding 61,000 people. Premium club level seating for all Spurs home games is now available, including longside views of the game from the comfort of a great seat. Bookings are taken for 2 guests upwards. Can't find your favourite Tottenham Hotspur v West Ham United package?